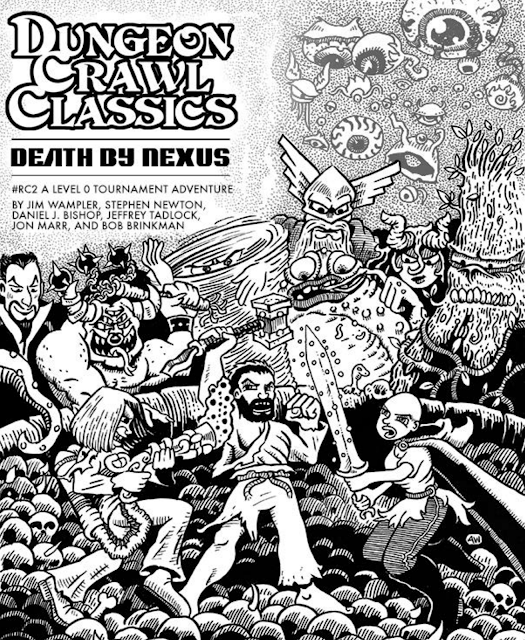 I saw Dungeon Crawl Classics RC2: Death by Nexus highlighted at the Frugal GM blog last week and wanted to add to the bandwidth. It's a free tournament adventure from Goodman Games but I'm fairly sure it could be tweaked into a nice, lethal funnel with a little work. Just looking a the writers involved is a Who's Who in the DCC universe of creators. Even if you don't use it as is the magic items at the end are simply inspirational for any OSR game. The Hypercube of Myt is also in the area of Goodman Games website.